Designed to mimic the hand-cut, quarried stone, the Stoneworks® Faux Granite 30" Round Table Top offers the appearance of stone with an easier maintenance regiment. These outdoor faux stone table tops feature a unique hand-crafted appearance with routed edge details and chiseled edge treatments and hand-applied patinas protected by strong sealants. Weather-resistant and durable, these faux stone tops can withstand extreme high temperatures without cracking, peeling, or warping. 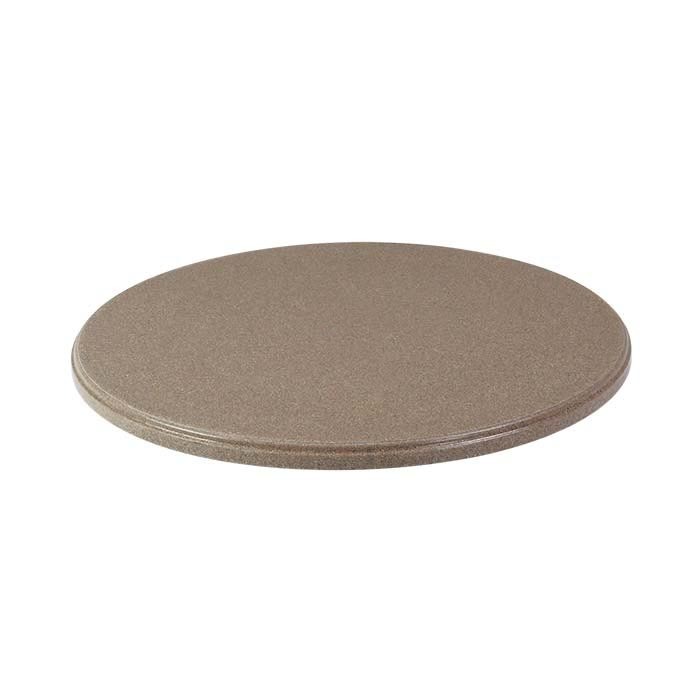 Pair the Stoneworks® Faux Granite 30" Round Table Top with a Tropitone® Table Base to create a beautiful dining table for the patio.